The power of the basic gospel of the Lord Jesus is still at work as the captives are being set free. 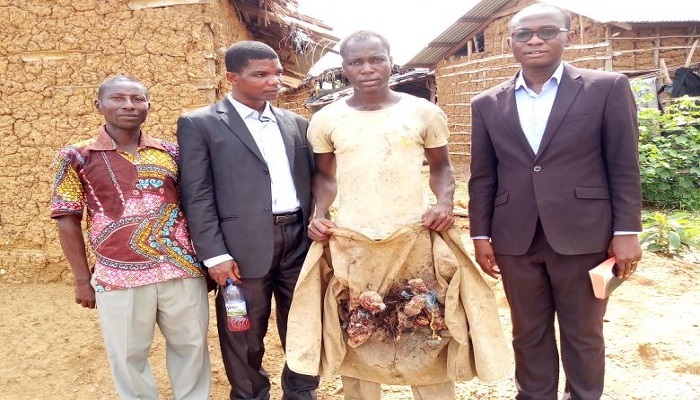 Joy filled the hearts of members of Sika Nti Assembly in Kwabeng District of the Asankrangwa Area of The Church of Pentecost when an idol worshipper in the area, John Saakuu, surrendered his idols to be burnt after deciding to dedicate his life to Jesus Christ. 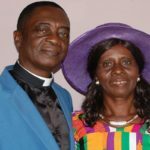 It all started on April 17, 2018 when the District Minister, Overseer Hope Kofi Lumor, embarked on a house-to-house visitation in the community, where he visited the house of the wife of John Saakuu who is a member of the Church. The minister met the husband in the house and shared the word of God with him. Mr. Saakuu expressed interest in the message and promised to visit the mission house for further discussion. On April 20, Mr. Saakuu took part in a prayer meeting organised by the local assembly. He was later led to the mission, where he confessed to the pastor of his involvement in idol worship. The District Minister prayed for him and later went to his house to burn the charms. Mr. John Saakuu has since been fully committed to God and is a regular member of the Church. Report by Madonna Lumor, Kwabeng District.